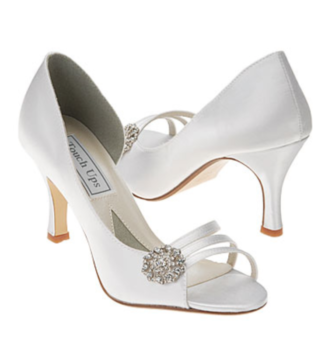 Abby Shoes are perfect for your prom, homecoming, pageant, or special event! 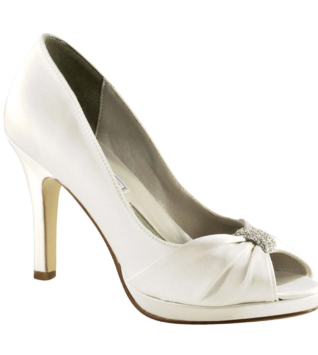 Charm your way through any occasion in these vintage inspired Abby pumps by Touch Ups. 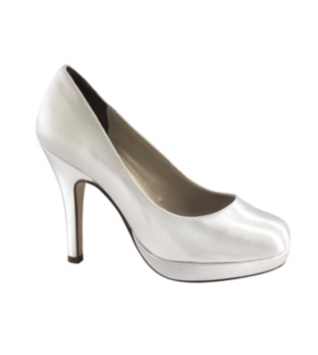 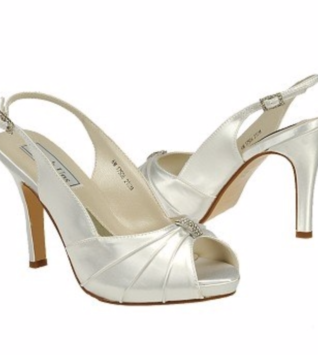 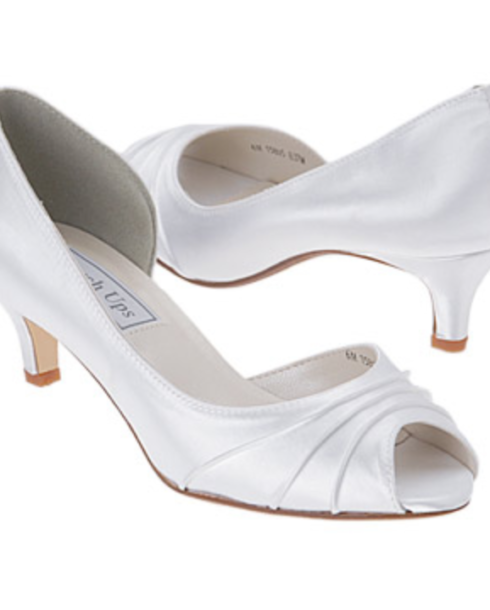 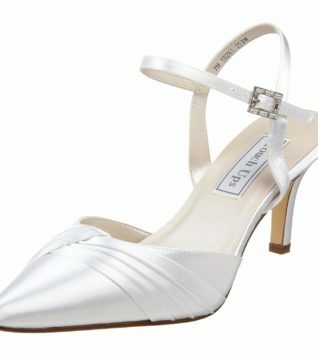 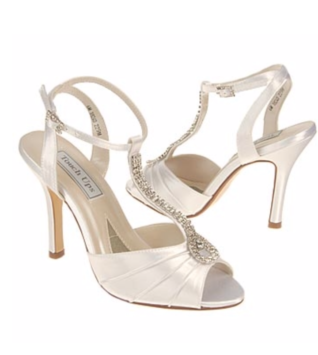 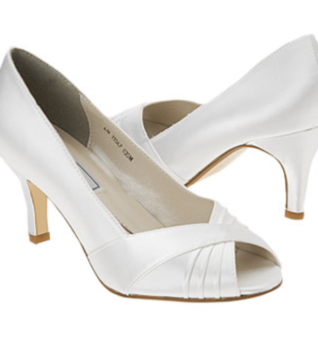 Style 837 Shoes come in dyeable white satin upper in an evening dress pump style with a round peep toe. 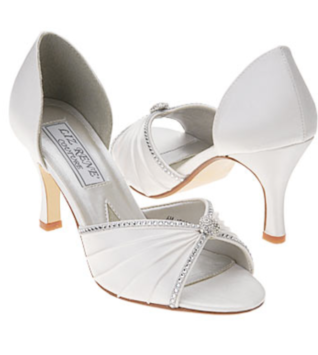 A softly pleated vamp creates unadorned, sophisticated detail. 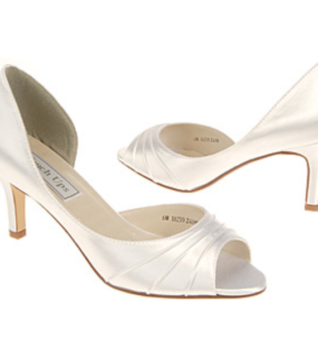 An open inner arch creates classic feminine curves. 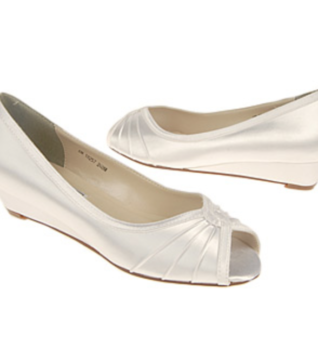 Faux leather lining and cushioning foot bed, smooth leather outsole.